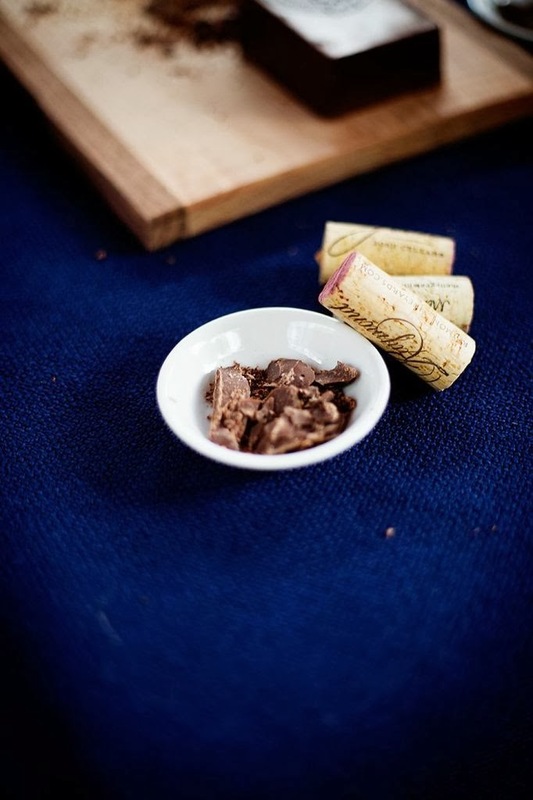 Chocolate and Wine. Wine and Chocolate. It's the perfect pair to soothe a bad day, celebrate something special or just spice up a Tuesday night. 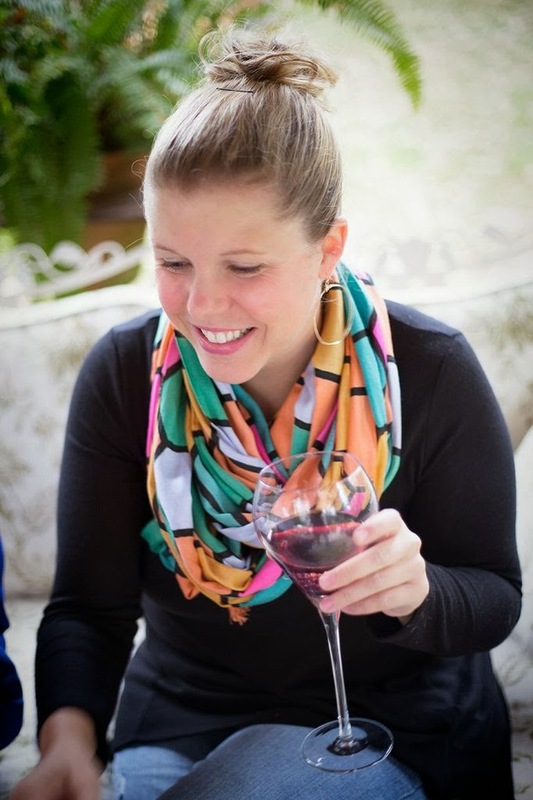 So when I discovered that someone had gotten serious about wine and chocolate pairings, I knew I had to check it out stat. 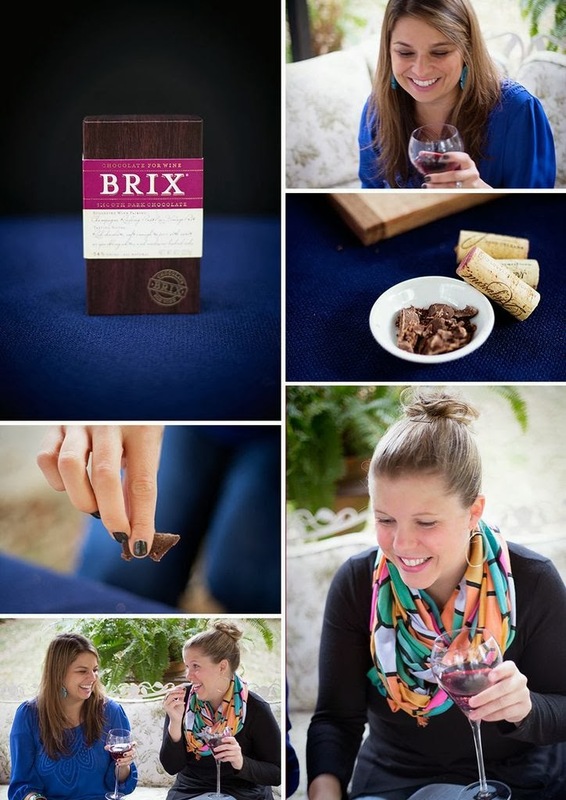 The geniuses behind Brix Chocolate have a tagline: Chocolate for Wine. And it lives up to the hype! 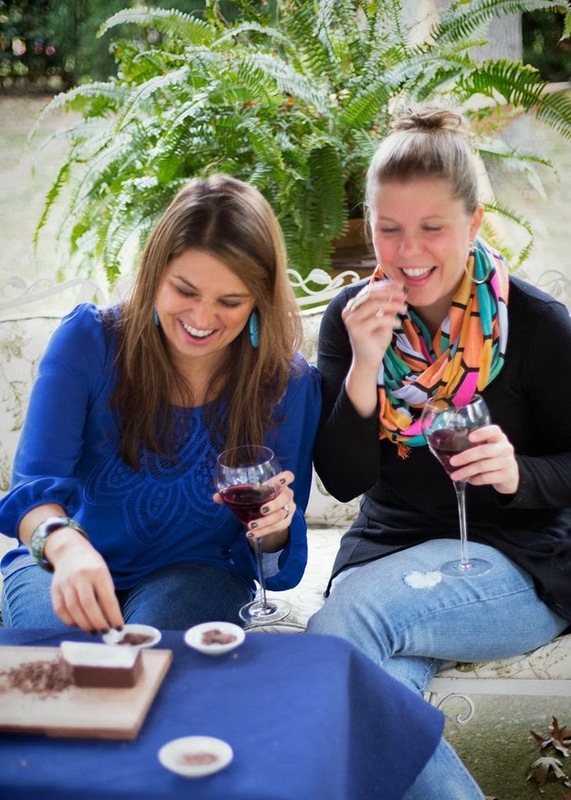 With 4 different kinds of chocolate to pair with everything from Cabernet to Riesling, it's incredibly fun to pair up the chocolate decadence with some more decadence :) The wonderful Kristen LeQuire of Kristen LeQuire Photography took some lovely photos of my friend Hillary and I doing what we do best, eating and drinking of course! 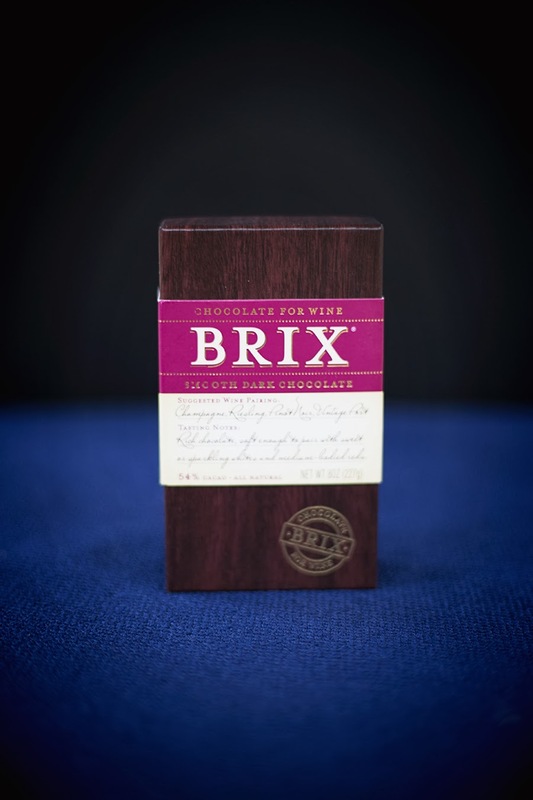 As the name suggests, Brix is quite simply, a brick of chocolate! They're not messing around! ...and for sneaking sweet bites along the way! 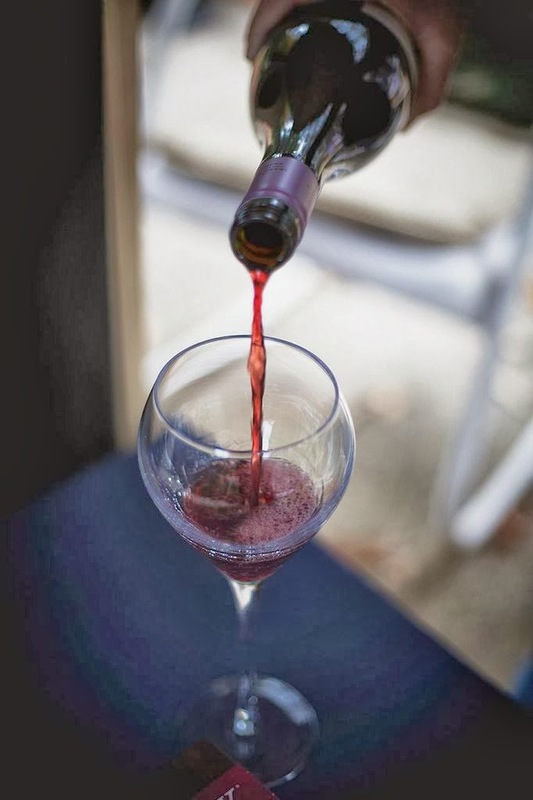 And of course, don't forget the wine! 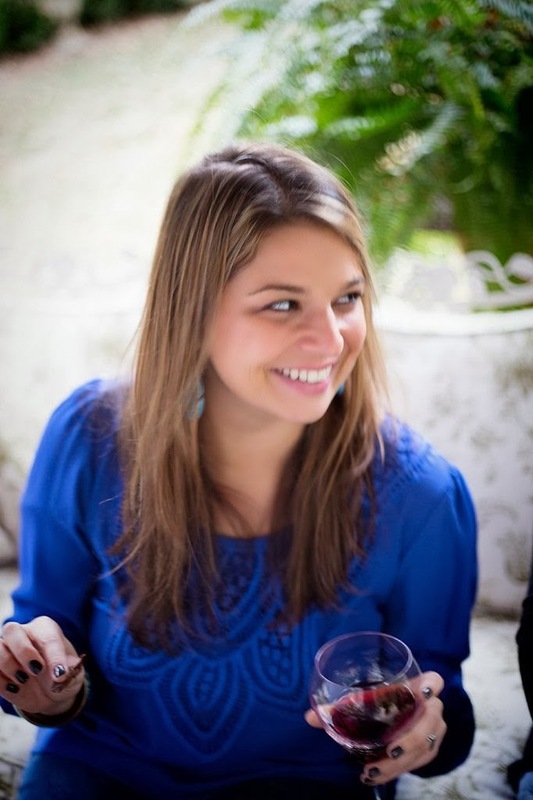 Hillary and I had a blast tasting and drinking...drinking and tasting! 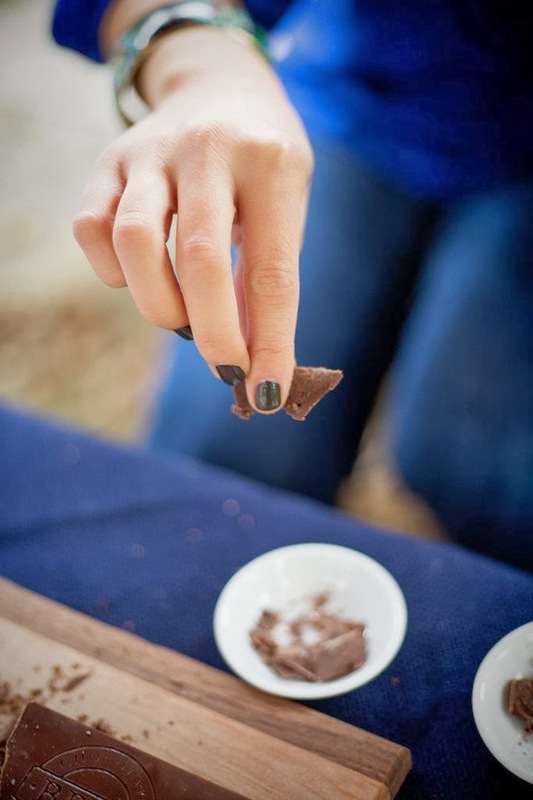 Kristen created this great collage of our fun tasting. 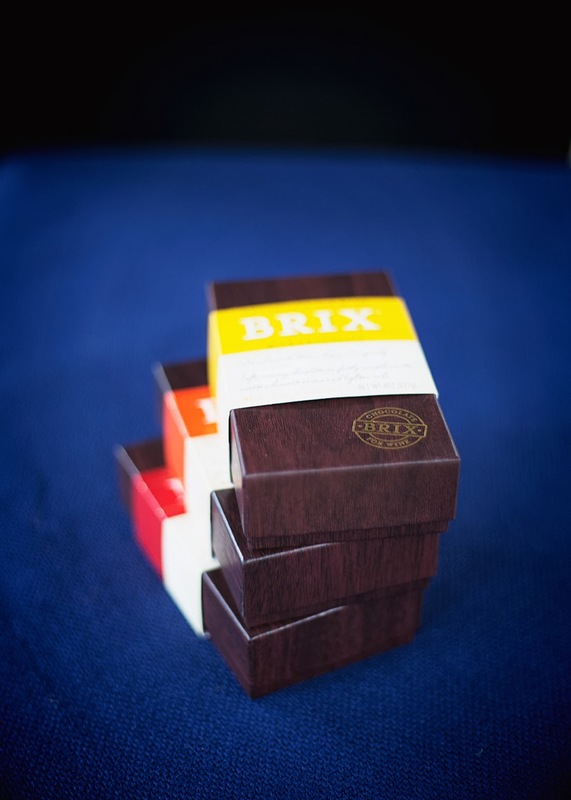 If you head to the Brix website, there's all sorts of info about the yummy product, including the perfect way to get the most of your Brix chocolate. 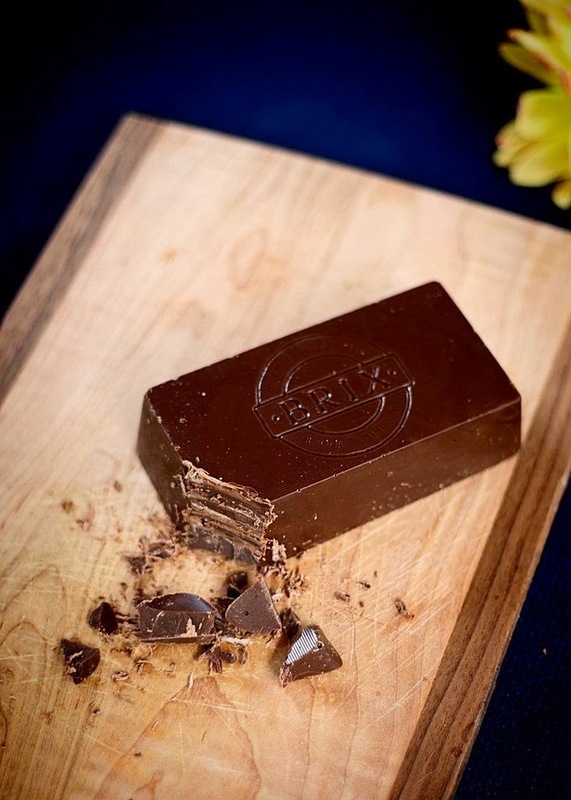 Pick up a brick or two for the holidays either for a gift or to host your own chocolate and wine tasting soiree! Disclaimer: Brix Chocolate for Wine provided me with this product in connection with my blog post. All opinions expressed are my own. ooo looks yummy! chocolate + wine is my kinda night!!!!! Looks like my kind of treat! Great pics too!